In this world of ipods, ipads, iphones and everything else revolving around the word “I,” we tend to get self-focused. The world encourages this, but you and I both know, it goes against the grain of what we are taught in scripture. In Mark 10:45, it says, “For even the Son of Man did not come to be served, but to serve, and to give his life as a ransom for many.” If we are to be like Christ, we have to become better at loving others, focusing on others, and serving others. But … that’s not always easy, as I was reminded again, this weekend. I grabbed my to-do list and my favorite worn green glass, filled with ice tea, and headed to the computer. The windows were open, Jenessa was working on a project, Farmer Dean was at Frank Lake Church in the Grove, busily (and might I add happily) working on the new railing for the steps, and Peter (son-in-law) was at work. The windows were open and a cool breeze blew in washing over, filling me with a feeling of energy and excitement. Oh, to get this work done! As soon as I got situated and focused, the phone rang. A girlfriend out west was dealing with difficult issues in her life and needed prayer. After thirty minutes of consoling and praying, I hung up the phone and settled in to my work. Ten minutes went by when the phone rang again. It was a neighbor in need of prayer. Twenty minutes later and I was back on track. Until … yes, it happened over and over until I sat down and said to Jenessa, “What is happening?” I took a total of 7 phone calls within a three hour period, helping, encouraging, praying over the needs of others, but I couldn’t get my work done. Ah ha!!! Yes, yes, that’s what I say I do, but it really wasn’t what I was focused on, was it? If the premise of our Best Life Ministries (for which I am the Founder and Exec. Dir) is “help, hope and healing,” then I better get my priorities straight. In this life, whatever we value most becomes our priority. If my priority is helping others, praying for others, listening to others, and bearing others’ burdens, then here’s the deal … I better have that at the top of the to-do list!!! Things became very focused in my mind and heart through a very simple complaint of mine. 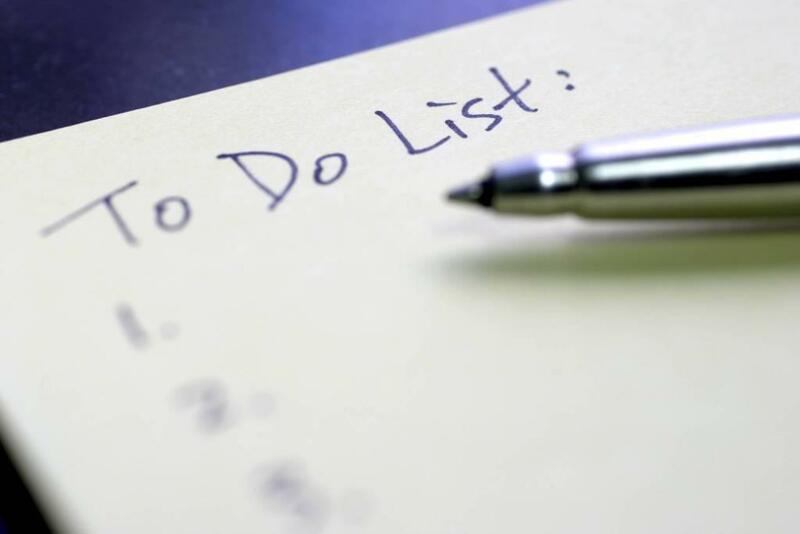 I no longer look at the to-do list and think I have to barrel through it, but instead, I wait to see if the hand of God is adding things to my list, and if I will be focused on them, or just checking off my own this and that. I … I … I … better be looking for God’s to-do list … not my own!